Age-related macular degeneration (AMRD) could be treated by transplanting photoreceptors produced by the directed differentiation of stem cells, thanks to findings published today by Professor Gilbert Bernier of the University of Montreal and its affiliated Maisonneuve-Rosemont Hospital. ARMD is a common eye problem caused by the loss of cones. 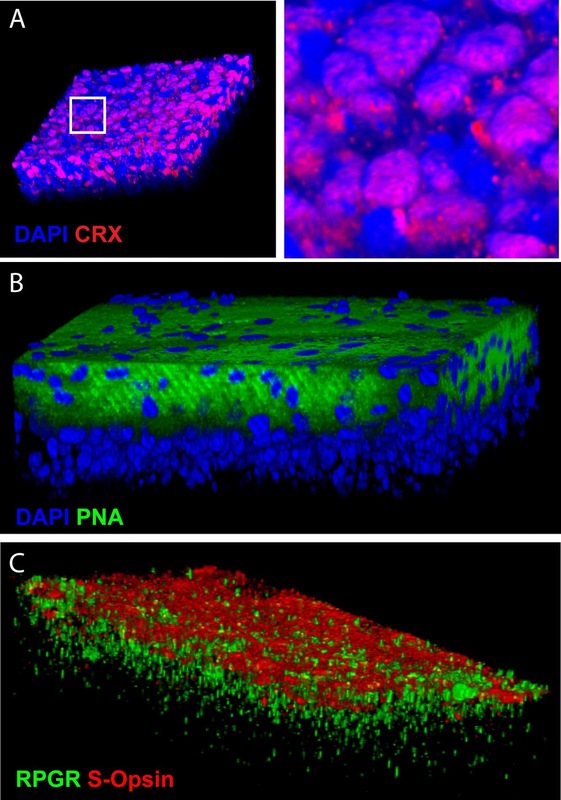 Bernier's team has developed a highly effective in vitro technique for producing light sensitive retina cells from human embryonic stem cells. "Our method has the capacity to differentiate 80% of the stem cells into pure cones," Professor Gilbert explained. "Within 45 days, the cones that we allowed to grow towards confluence spontaneously formed organised retinal tissue that was 150 microns thick. This has never been achieved before." "Cone transplant represents a therapeutic solution for retinal pathologies caused by the degeneration of photoreceptor cells," Bernier explained. "To date, it has been difficult to obtain great quantities of human cones." "Researchers have been trying to achieve this kind of trial for years," he said. "Thanks to our simple and effective approach, any laboratory in the world will now be able to create masses of photoreceptors. Even if there's a long way to go before launching clinical trials, this means, in theory, that will be eventually be able to treat countless patients." ARMD is due to the degeneration of the macula, which is the central part of the retina that enables the majority of eyesight. This degeneration is caused by the destruction of the cones and cells in the retinal pigment epithelium (RPE), a tissue that is responsible for the reparation of the visual cells in the retina and for the elimination of cells that are too worn out. However, there is only so much reparation that can be done as we are born with a fixed number of cones. They therefore cannot naturally be replaced. Moreover, as we age, the RPE's maintenance is less and less effective - waste accumulates, forming deposits. "Differentiating RPE cells is quite easy. But in order to undertake a complete therapy, we need neuronal tissue that links all RPE cells to the cones. That is much more complex to develop," Bernier explains, noting nonetheless that he believes his research team is up to the challenge. Bernier has been interested in the genes that code and enable the induction of the retina during embryonic development since completing his PhD in Molecular Biology in 1997. "During my post-doc at the Max-Planck Institute in Germany, I developed the idea that there was a natural molecule that must exist and be capable of forcing embryonic stem cells into becoming cones," he said. Indeed, bioinformatics analysis led him to predict the existence of a mysterious protein: COCO, a "recombinational" human molecule that is normally expressed within photoreceptors during their development.